TRENCHER, GROUNDSAW - 2" X 12"
The Groundsaw can trench up to 100' in 5 minutes, depending on soil conditions. The on-the-go depth adjustment enables the operator to dig a trench 2" wide from 0 to 12" deep with ease. 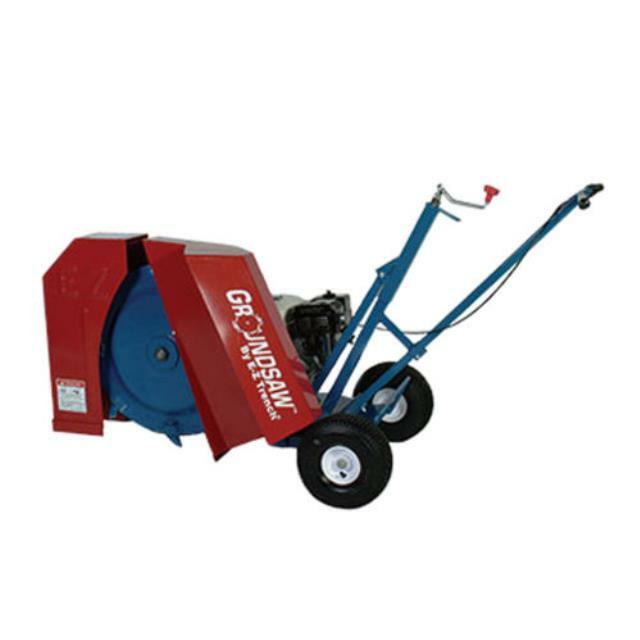 The Groundsaw is ideal for installing irrigation, propane gas lines, silt fence, and more. Click here for the EZ Trench EZ9100NS parts and operation manual. Trench depth: up to 12"